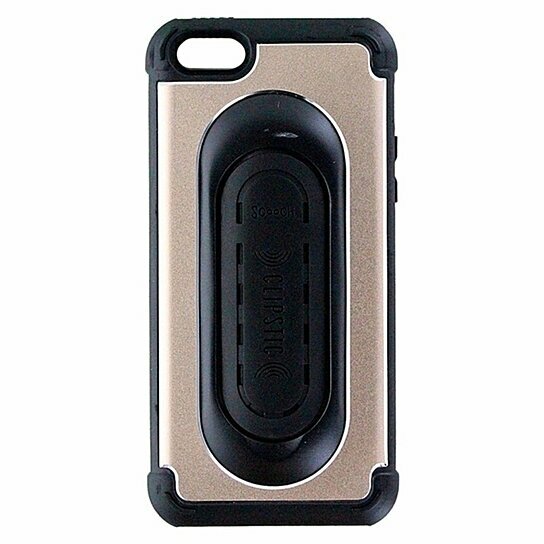 Scooch brand Clipstic Pro Series 4 in 1 Case for Apple iPhone 5/5s/SE. Mount it, Grip it, Kick it, Protect it. Aluminum Dull Gold Steel finish with Black trim and interior.